Directions: From Sheikh Zayed Road take Interchange 2 and head towards Nad Al Sheba on the Meydan road. Carry on over the Al Khail road and after the 2nd roundabout, just before the mosque, turn right along the road marked Private Access. At the crossroads, turn right and round the roundabout along the new road to the end. Turn left and go over the old road and turn right in about 400m. Look for signs. 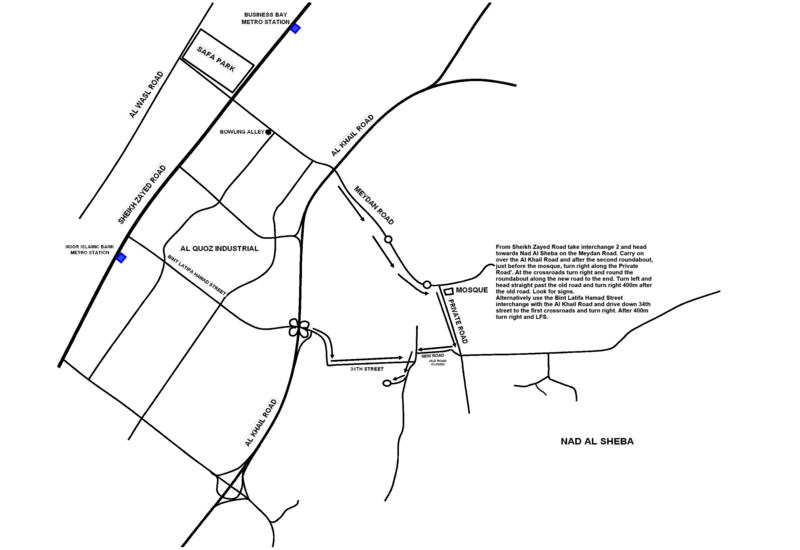 Alternatively, use the Bint Latifa Hamad Street interchange with Al Khail road and drive down 34th street to the first crossroads and turn right. After 400m turn right and look for signs.